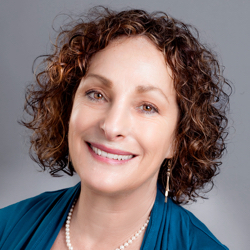 Dr. Levy has been practicing psychotherapy with children, families and adults for over 30 years. From the start of her training she was drawn to theories and therapies that viewed people through a humanistic rather than pathological lens. The focus of her practice is on healing and transformative therapies. She has a passion for transformative healing of ingrained negative beliefs, moods, and patterns of behaviors that cause suffering, and prevent people from living their lives more fully. She is a certified EMDRIA practitioner and approved consultant, who has been trained by Dr. Laurel Parnell. Additionally, Dr. Levy has trained in other transformational healing modalities, such as AEDP (Accelerated Experiential Dynamic Psychotherapy). Dr. Levy was a post-doctoral clinical supervisor at Kaiser Child Psychiatry for 14 years, and provides individual as well as group consultation on both children and adults. She is bilingual/bicultural in Spanish. She welcomes the opportunity to expand both her clinical and consulting practice in EMDR.